At Okaw Valley we believe that success in the classroom translates into success in whatever form of competition our student-athletes choose to participate. Parents roles are critical for our student-athletes to be successful. We ask you to help us provide an environment where our athletes can become successful and progress, academically, socially, and emotionally. Competitive sports in high school does not build character, rather it reveals the character that is already in place. 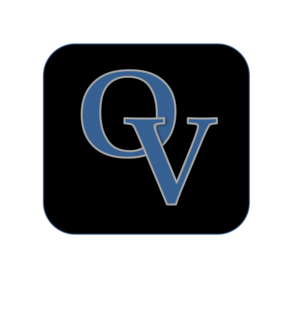 Coaches help to instruct our student-athletes in the fundamentals, increase their physical, mental, and emotional toughness, as well as modelling the character traits of the OV Way (attitude, respect, time management, passion, teamwork, talents, heart, appearance and communication.) We believe that as we all work together to become excellent in all that we do, we can help create an atmosphere where our student-athletes feel supported and encouraged to give their best effort both in the classroom and on the field. Current physical (Good for 395 days from the date of the physical), concussion waiver signed, insurance waiver form, athletic fee paid, and a signed code of conduct. For your information, there are two places to receive current information in regard to sports schedules and bus transportation departure times and places. Check the district calendar which has all of the bus and practice times. The sport schedules can also be found on Athletics Online located on the left hand side of the page. Lastly, WE ENCOURAGE ALL MIDDLE AND HIGH SCHOOL PARENTS OF ATHLETES TO BECOME INVOLVED IN OUR OKAW VALLEY BOOSTER CLUB! ALL THEY DO IS FOR YOUR SON OR DAUGHTER.